It’s the middle of winter. A very important moment. it’s good to reflect on the season and its spiritual meaning. February is a season for hospitality and for thinking about others. Imbolc is the seasonal festival that’s half-way between the Day of the Winter Solstice and the Day of the Spring Equinox. It’s a time for winter carnivals and dinners. And it’s also the time for measuring community needs. Community meals programs are active in our area and church members manage the cold night shelter for people who need a place to stay. In January, volunteers counted the homeless population. Are there other people who need our friendship? In Northern places, groundhogs and bears and other creatures come out of hibernation, to look around in the neighborhood. In Florida, the manatees moved into warmer waters in December. In February, they may ask, “How much longer will winter last?” Some manatees may poke their heads above the surface, to make their weather predictions. Maybe they’re looking forward to spring break at Spring Bayou. Maybe they’re planning a swim to Clearwater or Sarasota. Elle Wolf-Muhleck will be our Sunday speaker for February 3rd. Because of the Imbolc season, she’ll speak about Celtic spirituality. 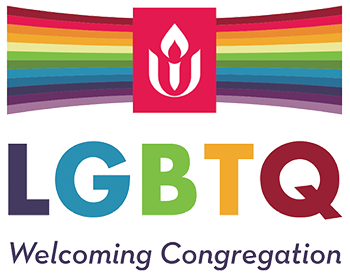 Next month, I’ll visit the Unitarian Universalists in Key West and I’ll speak about the same topic. I hope both presentations will be posted on our congregation’s new website. 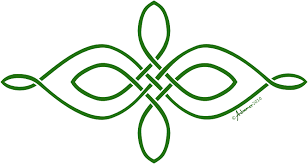 What does Celtic spirituality involve? It develops in different ways. One mentor says, “Go easy on the doctrines. Just follow the Way, with concern for others. Some individuals turn inward, but the Celts are contrary people, so engagement and hospitality are important practices.” We need something simple and good in this season. Feed the people. Provide shelter when it’s needed. Offer the gift of friendship to others and take time for a bit of merrymaking. Last year, our congregation marched with rainbow flags and a bagpiper to the place where our church is being reconstructed. Everybody was invited to the party. This winter, something similar will happen. Construction work will be finished in late February or early March. There will be a great parade. Rejoice. Restore. Re-Imagine.